Distressed cancer patients and staff have been harassed by anti-assisted dying protesters who handed them pamphlets describing voluntary euthanasia as “patient killing by doctors”. A group of protesters lobbied outside the hospital’s Grattan Street entrance last week and distributed flyers purporting to be from the Peter MacCallum Cancer Centre. 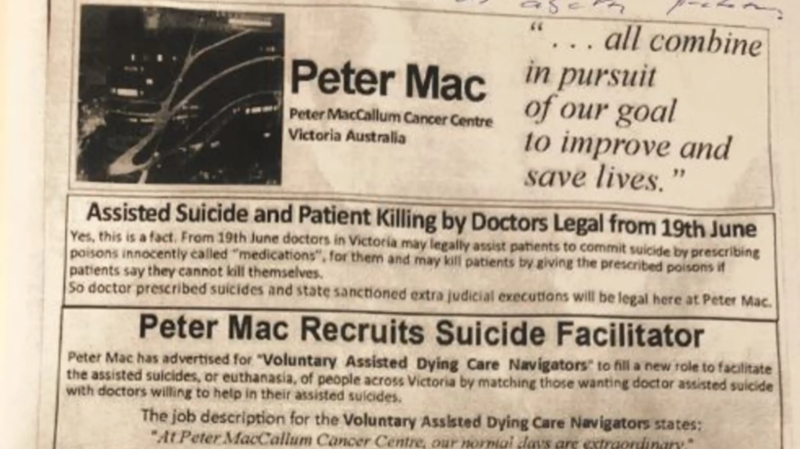 Headlines on the pamphlet, branded with the Peter MacCallum name, seen by The Age, include “Peter Mac Recruits Suicide Facilitator” and “Assisted Dying is Not Medical Treatment”. 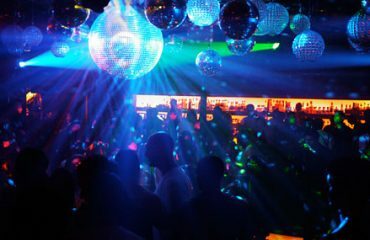 “For the new assisted suicide facilitator this catchphrase takes on a whole new meaning at Peter Mac as the extraordinary and unethical act of intentionally ending the life of a patient is normalised,” the pamphlet reads. Victoria’s Voluntary Assisted Dying laws will be come into effect in June. 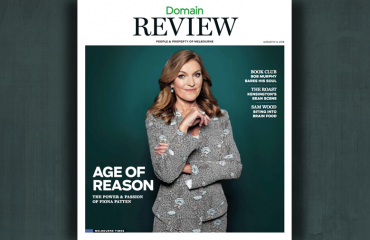 Reason Party leader Fiona Patten said she had been told Peter Mac staff were frequently heckled and called “murderers” as they walked into work.